PASSPORT PHOTOS TAKEN BY HUMANS in a studio!! 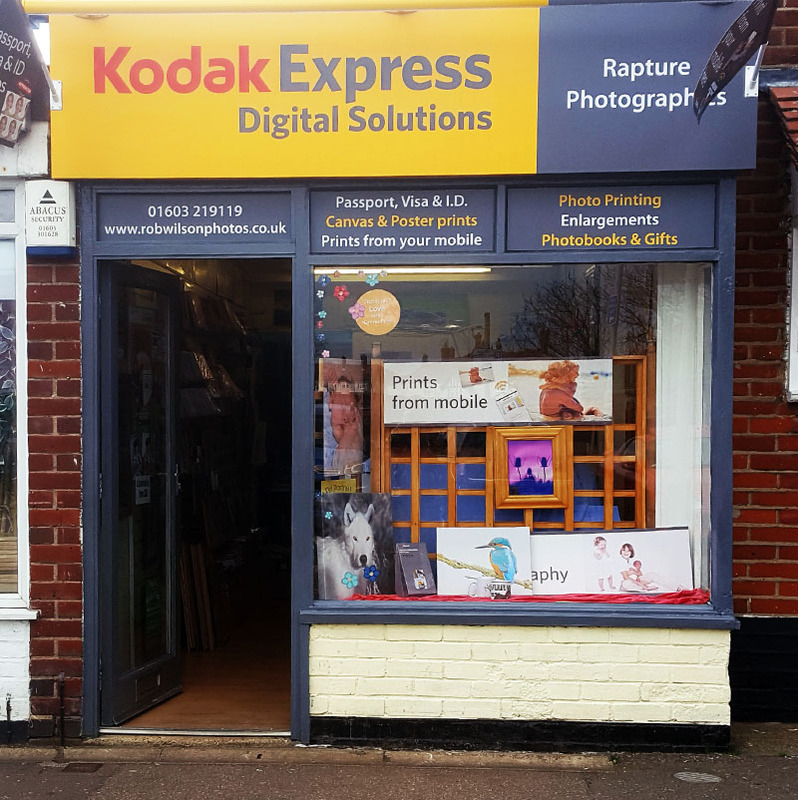 But using APPROVED BIOMETRIC software at Norwich's Kodak Express. FREE PARKING, Appointments recommended for Saturdays. .
We can take photos for UK passports/student cards and driving licences from only £6.99, for adults and children. An extra set provided free. We totally understand how difficult it is to get a baby in a booth, so come and see us. We also specialise in Indian Visa photos. We always give at least 4 visa photos. Photos are available within 5-10 minutes of us taking it. All photos are taken in our studio and we have parking out the front of the shop. We also specialise in producing visa and passport photos for other countries. including Canadian, China Visa, American. Dutch, Japanese, Vietnamese, Indian, South African, Australian and other countries where an unusual size is required. These are £10.99. (Extra £2.50 if digital file is required). We are one of the few places in the county that offer passport photos a different size from the UK and at a reasonable price. Please ring before you come as sometimes the camera is out doing family portraits in the home 01603 219119. Thank you, and we look forward to seeing you.